S - Appearance Package, Upgraded 17 Aluminum Alloy Wheels, All-Season Tires, Automatic Emergency Braking, Blind Spot Warning, Rear Cross Traffic Alert, Advanced Drive-Assist Display, Rearview Monitor. Safety Features, 4-Wheel Disc Brakes, ABS Brakes, Dual Front Impact Airbags, Dual Front Side Impact Airbags, Emergency Communication System, Front Anti-Roll Bar, Low Tire Pressure Warning, Occupant Sensing Airbag, Overhead Air Bags, Rear Anti-Roll Bar. We are Orange County's Fastest Growing Nissan Dealership. We make purchasing a vehicle easy and hassle free! Leave happy or your money back!!! SV - Upgraded 17 Aluminum Alloy Wheels, Automatic Emergency Braking, Blind Spot Warning, Rear Cross Traffic Alert, Advanced Drive Assist Display, RearView Monitor, Nissan Intelligent Key with Push Button Ignition, Power Outside Mirrors with LED Turn Signal Indicators, 8 Way Power Drivers Seat, Including 2-Way Lumbar Support. Safety Features, 4 Wheel Disc Brakes, ABS Brakes, Dual Front Impact Airbags, Dual Front Side Impact Airbags, Front and Rear Anti Roll Bars, Low Tire Pressure Warning, Occupant Sensing Airbags, Overhead Airbags. We are Orange County's Fastest Growing Nissan Dealership. We make purchasing a vehicle easy and hassle free! Leave happy or your money back!!! SL - Upgraded 19 Aluminum Alloy Wheels, Automatic Emergency Braking, Blind Spot Warning, Rear Cross Traffic Alert, Advanced Drive Assist Display, Nissan Navigation System, Nissan Connect Services powered by SiriusXM, Intelligent Around View Monitor, Leather Appointed Seats, Nissan Intelligent Key with Push Button Ignition, Power Outside Mirrors with LED turn Signal Indicators, 8-way Power Drivers Seat, Including 2-way Lumbar Support. 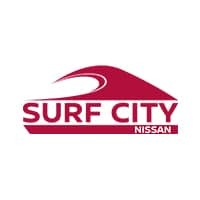 Safety Features, 4 Wheel Disc Brakes, ABS Brakes, Dual Front Impact Airbags, Dual Front Side Impact Airbags, Emergency Communication System: Nissan Connect Services, Front and Rear Anti Roll Bar, Low Tire Pressure Warning, Occupant Sensing Airbag, Overhead Airbag. We are Orange County's Fastest Growing Nissan Dealership. We make purchasing a vehicle easy and hassle free! Leave happy or your money back!! !